Welcome to Saturday Morning Cartoons. This month we will be doing something slightly different. Sci-Friday’s columnist, Sarah Lawrence, has dubbed this month “Shame September” where we will watch and review movies that we are ashamed to have never seen. As one who knows a lot about Japan and as a lover of anime and animated movies in general, the number one movie that I am ashamed to have not seen is Katsuhiro Otomo’s Akira. 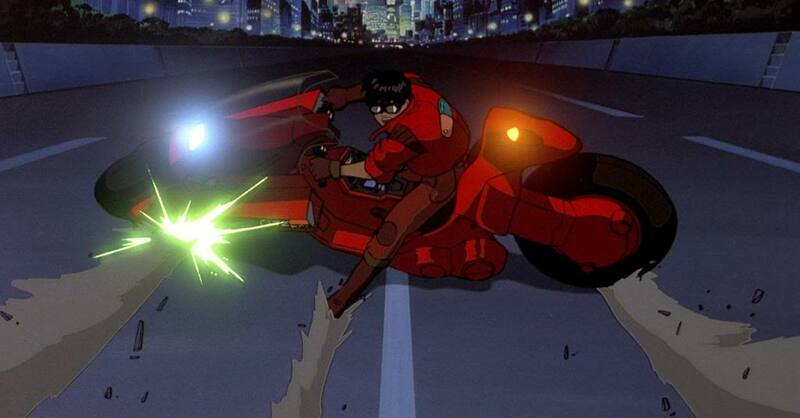 Akira is a critically acclaimed movie and has been hailed as not only one of the greatest animated movies of all time, but also one of the greatest science fiction movies of all time. I have found it on pretty much every top anime list, and also on nearly every top animated movie list. It has been cited as an influence for many current science fiction films and set the standard for modern anime. Basically it’s a wonder I haven’t watched it yet. After watching Akira for the first time, I must say that it did not disappoint. It’s detailed and energetic animation were amazing for being made in 1988, and it skillfully establishes its setting. It’s superb at getting across its gritty tone to the audience, and the atmosphere is really well done, both in how it tells its story and through its color and animation. It knows when to speed up for its action sequences, and when to slow down for its more intense moments. With cyberpunk undertones and a dystopian future setting, it sets the stage for a plot that pretty much summarizes nearly every classic science fiction movie you’ve ever seen. However, it had some major flaws, and its greatest failing lies in the development and presentation of its characters. Akira is set 31 years after “World War III” in “Neo Tokyo”, where crime is rampant, crazy cultists search for answers from a supposed god called “Akira”, and a revolutionary rabble is planning to overthrow a militaristic government run by frustrated bigwigs in a circular boardroom. Our main characters are Kaneda and Tetsuo who are a part of a biker gang, and just so happen to get mixed up in all the chaos. During a fast paced fight between Kaneda’s gang and a rival bike gang, Tetsuo accidentally runs into a strange, wrinkle-faced child with psychic powers, and as a result gains some strange abilities himself. His subsequent abduction and experimentation to explore his new powers by said governmental bigwigs, lead Kaneda and his gang to try to rescue him. Kaneda ends up meeting a woman from the revolutionary group named Kei, who also happens to be looking into the new experiments being done with Tetsuo. What results is a lot of rioting, conversations on humanity’s place in the universe, and the flinging of crazy psychic powers throughout the rest of the film. This movie contains many science fiction style tropes, including the classic God complex of those studying Tetsuo. They ask the question of “how close can we get to God?” Even the search for who (or what?) is “Akira” is a constant question asked by Tetsuo, trying to grapple with his newfound terrible powers. This reminds me of many science fiction stories, going back to even Frankenstein. I can very much see where this movie got its influences and also where it influenced many movies that came after it, both animated, and of the sci-fi genre. This unfortunately had the side effect of making it very predictable for me. However, its tendency to fall into these sci-fi tropes doesn’t necessarily make it a bad movie, in fact there are a lot of cliches presented in Akira that I like. Instead, what I find the movie to be lacking in is character development and interaction. Tokyo Movie Shinsha; Toho He’s pondering his place in the universe, and also in the plot. First of all, the movie has way too many characters. It is hard to keep track of them all, and many aren’t developed well enough to really bother remembering. Even the relationships between the characters aren’t well developed. Kaneda and Kei seem to have a forced romantic relationship pushed on them by the writers at the beginning, but then this is largely ignored when the more important interactions between Kaneda and Tetsuo are involved. Even Kaneda and Tetsuo – the two who this story is essentially about – don’t have good development or interactions. There are some very subtle hints at their relationship throughout the film, but I would have liked more concrete development between Kandeda and Tetsuo and their backstory towards the beginning of the film. Most of their history is revealed at the end, but because of that, I didn’t have enough time to care about Tetsuo or Kaneda, or their struggles during most of the movie. I think the “reveal” at the end was meant to make the audience care after the fact and have some sort of sudden emotional impact, but it didn’t really work for me. 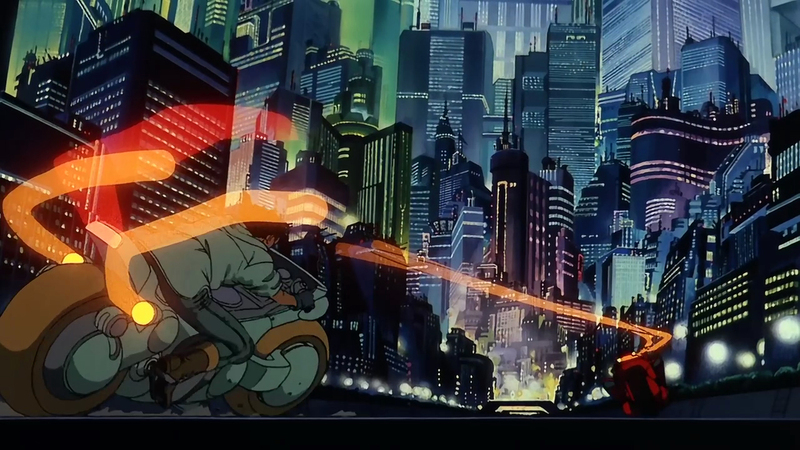 Overall, Akira hits all the essential points to a good sci-fi movie and is certainly worth watching. However, I wish it had made its characters as engaging as its setting. Tokyo Movie Shinsha; Toho I’ll leave you with one last iconic image. I’m guessing you want me to do an article on this when it comes out…? I’m cool with that.